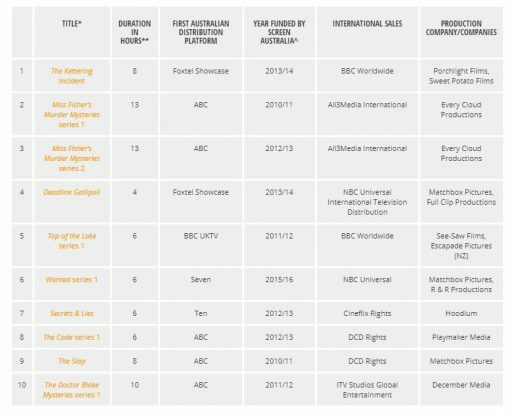 Porchlight Films and Sweet Potato Films’ The Kettering Incident was the top-selling adult TV drama supported by Screen Australia internationally in 2017, just ahead of two series of Every Cloud Productions’ Miss Fisher’s Murder Mysteries. Matchbox Pictures had three shows in the top 10: Deadline Gallipoli, produced with Full Clip Productions, Wanted series 1, a co-production with R & R Productions, and The Slap. 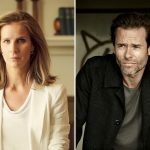 To its credit, the ABC screened half of the 10, which may also be a commentary on the commercial free-to-air networks’ cautious approach to Australian drama. 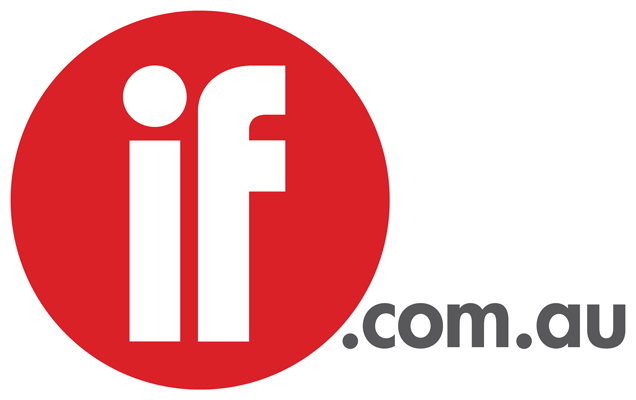 Research released by Screen Australia this week revealed those 10 titles generated $2.93 million in net returns to investors in calendar 2017 and $20 million over those programs’ lifetimes. Including Australian/New Zealand sales, the net return last year was $3.05 million. Since being made available to buyers that group has notched a total of 340 rest-of-the-world sales valued at nearly $70 million. Last year 138 adult and children’s TV dramas co-funded by the agency clocked 108 sales worth $27.8 million internationally, excluding New Zealand. The net return to investors in 2017 may not look great but as Porchlight Films’ Vincent Sheehan points out, most shows have a long tail. From sales revenues the international distributors deduct their advances and 30 per cent commissions and there are other expenses such as gap finance and the interest on borrowing to cash flow the Producer Offset. Screen Producers Australia CEO Matt Deaner hailed the overseas sales figures as encouraging, telling IF: “As disruption and policy inertia bring about increasing uncertainty in our local market, production companies are becoming more dependent on overseas sales. Represented by BBC Worldwide, The Kettering Incident sold to multiple territories including Amazon Prime Video for the US, Sky Atlantic in the UK, Japan and Korea. In some territories the BBC screened the 8-part drama on its channels or SVOD platforms. A few territories including Latin America are unsold. “I would have liked bigger numbers in some territories but producers always say that,” says Sheehan, who is developing a drama series with Peter Duncan. Sweet Potato Films’ Victoria Madden tells IF it was a pleasant surprise to see their show top the list ahead of Miss Fisher’s Murder Mysteries, a popular franchise worldwide. Madden has started the search for a director and casting for The Gloaming, an eight-part drama she created about an unorthodox, troubled cop who leads an investigation into the murder of an unidentified woman. She will produce with Fiona McConaghy and 2 Jons’ John Molloy and Jon Adgemis in partnership with Disney’s ABC Studios International and Stan. According to the research, Wanted was the top title in terms of sales concluded in 2017, including to one major, unnamed territory. Commissioned by Foxtel, The Kettering Incident sold to the most territories during that period. Payments usually arrive long after sales contracts are signed, delaying the flow of net returns to investors. See-Saw Films’ Top of the Lake series 1 generated the most sales in its lifetime, double the value of sales for any of the other nine dramas. Budgets ranged from $920,000 to $3.4 million per hour. The distributors’ commission on all TV sales ranged from 20 per cent to 30 per cent; expenses were capped at 5 per cent of gross receipts received by the distributor for eight of the dramas and 10 per cent for two. Screen Australia’s per hour investment varied from about $100,000 to $275,000 and total investment in the individual dramas ranged from $750,000 to $1.86 million. Australia/NZ sales only added between $5,000 and $110,000 for the year to each of the dramas in the line-up.